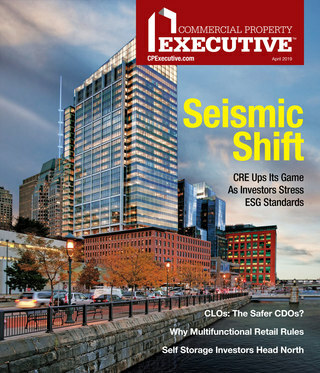 A green groundswell grips the multifamily industry, influencing everything from building materials to construction standards and certification systems. No small part of this trend is green financing. As sustainability becomes further embedded in the multifamily sector’s fabric, so are the capital sources available for environmentally responsible upgrades. Studies indicate that improving energy and water efficiency can generate economic savings of 28 to 38 percent, clip energy costs as much as 31 percent and spur 40 percent in resident utility cost reductions, reported Peter Giles, president of production and sales at Freddie Mac. Cutting utility costs can also help increase the availability of affordable housing. According to a 2015 Freddie Mac analysis, a 10 percent cut in utility costs can increase affordable rentals by at least 10 percent, Giles noted. By general agreement, Fannie Mae and Freddie Mac continue to offer the multifamily sector’s most comprehensive green financing opportunities. Both government-sponsored enterprises sponsor loan programs for construction and renovation projects that come with lower interest rates, higher leverage and energy audits. Those features are designed to promote energy consumption reductions of 20 percent or more, noted Ray Sturm, CEO of AlphaFlow, the online real estate investment management firm. That 20 percent target is usually possible even for older buildings, making loans from the GSEs’ approved lenders highly attractive. Lower interest rates and larger proceeds can help offset the cost of green building materials and labor and cut utility bills, resulting in improved overall cash flow. The GSEs have no cap on origination, which incentivizes lenders to market green loans, Sturm said. Fannie Mae grew its Green Financing portfolio to more than $50 billion in 2018, driven by more than $20 billion in Green MBS backed either by green-certified properties or by properties targeting reduced energy or water consumption. In 2018, Freddie Mac financed $36 billion through its Multifamily Green Advantage program, which lowered utility costs for some 367,000 units. The program benefits workforce housing residents by providing incentives for owners to make water and energy improvements. Most properties are garden-style apartments, and communities average 33 years old. A good example is the $327 million package originated by Berkadia through Freddie Mac’s Green Advantage program to refinance 28 Brookdale Senior Living facilities. Announced in December, the deal featured a $213 million fixed-rate component and a $121 million variable-rate piece. Green Advantage funding also figured prominently in such recent transactions as Oak Residential Partners’ acquisition of The Celebration at Sandy Springs, a 250-unit community north of Atlanta in Sandy Springs, Ga. For that deal, completed in September 2018, NorthMarq Capital arranged $23.5 million in 10-year floating rate financing. “The biggest challenge facing green multifamily financing right now is many developers aren’t even aware of the programs or their benefits,” Sturm said. “Lenders end up having to do a lot of legwork to get developers to consider including green and energy-efficient features into their projects so they qualify for one of the loans. Also, not all projects are a match for the requirements set out by the GSEs to be eligible for their green loan programs.” That’s true for some of the oldest buildings in New York City and other major multifamily markets, he added. Another option that continues to rise in popularity is property assessed clean energy financing (C-PACE), which enables a sponsor to repay a loan through a property tax assessment. In a milestone, last summer CleanFund structured the first public securitization of C-PACE-backed assets. At $103 million, it was the largest and highest-rated such securitization to date. It involved a AAA-rated note for a transaction covering 82 multifamily, office and other commercial properties across six states. The landmark transaction demonstrates the increasing acceptance of the funding mechanism by both Wall Street and asset owners, contends Woolsey McKernon, senior vice president of CleanFund. That said, the strategy is not without limitations. Availability varies by state, and loans are categorized as tax liens, placing them senior to existing mortgages. Borrowers must gain approval from their lenders before taking them on. And, as Sturm noted, “Fannie and Freddie have also both refused to purchase loans with PACE liens on them, hampering their viability,” Sturm added. A variety of issues and trends are on the green finance radar this year. Sturm is watching the appetite of asset managers and pension funds for green MBS products sponsored by Fannie Mae and Freddie Mac, as well as for new product rollouts by the GSEs. Another question is whether the enterprises will make major changes to existing programs to incentivize greater redevelopment of older buildings, with these projects tending to be costlier and more intensive. Another topic to watch, according to Sturm, is how PACE financing will continue to be rolled out in different states and whether Fannie Mae and Freddie Mac will be pressured into taking on loans that have associated PACE liens. For his part, Haber noted that several states have established guaranteed government-backed mortgages to encourage green projects, and speculates that more states will follow suit. The PACE rollout will continue apace, he added, “but variance in rules between states and the GSEs’ reluctance to purchase loans with PACE liens will limit PACE loans’ overall utility,” Sturm said. Haber predicts the emergence of a new cottage industry that will provide lending platforms based on green building financing. One possibility: debt and equity vehicles sponsored by investment banks to invest exclusively in green or health-based real estate platforms. 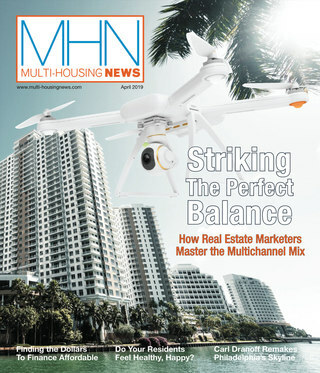 Read the March 2019 issue of MHN.